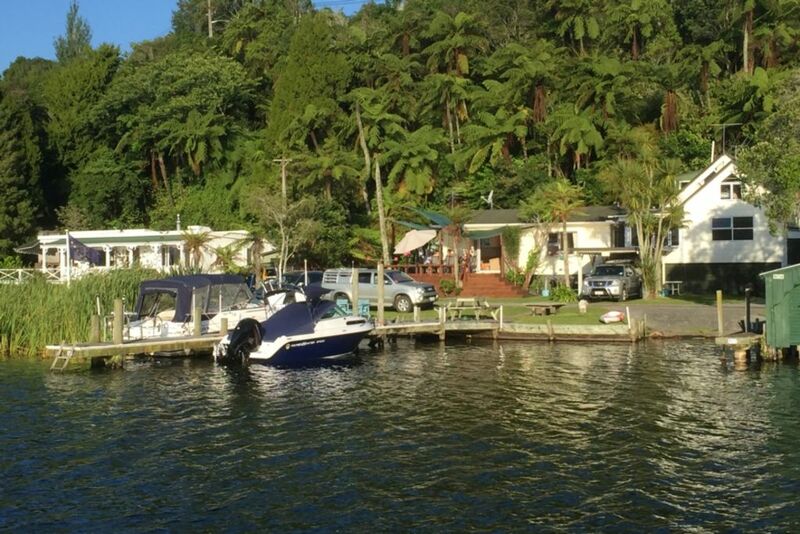 The tranquility and sheltered aspect provides for year-round enjoyment, or enjoy many lake activities avail such as fishing, skiing, picnicking or visiting hot springs on the lake, walks to the falls to watch, river rafting over the waterfalls, local fishing charters, Rotoiti Explorer Large boat charter and dinner cruises. 20 mins to Rotorua. 25 mins to coast beaches, coffee etc at the licensed Okere Falls Cafe. Two-story with 2 tile shower/bathrooms, 3 WC, 2.5 bedrooms, Modern kitchen/lounge/dining, auto washer/dryer, dishwasher, gas hob, oven, large frypan, microwave, gas hot water and heating, covered area with BBQ. CLEANING added at $90, per cottage on booking. Shared enclosed, conservatory. Outdoor heaters by prior request, LPG extra. Life jackets avail by prior arrangement, user's responsibility. Family Lakeside cottage,s can rent One or Both for family or Friends get together s ( Note listed prices are for one cottage includes up to 4 persons) to many to list!!!! Salt Pepper, cooking oil, paper towels Tea, Coffee, sugar, Foil oven bags,glad wrap,vinegar, many condiments. Amazing place to stay. Everything you need to enjoy a great holiday. Definitely will be back. We had a great time at the cottages, fantastic location, great to have a boat ramp and jetty for the boat which is literally 10m from the house. Definitely would stay there again.